Spotted in a flower pot on the street outside someone's front door. 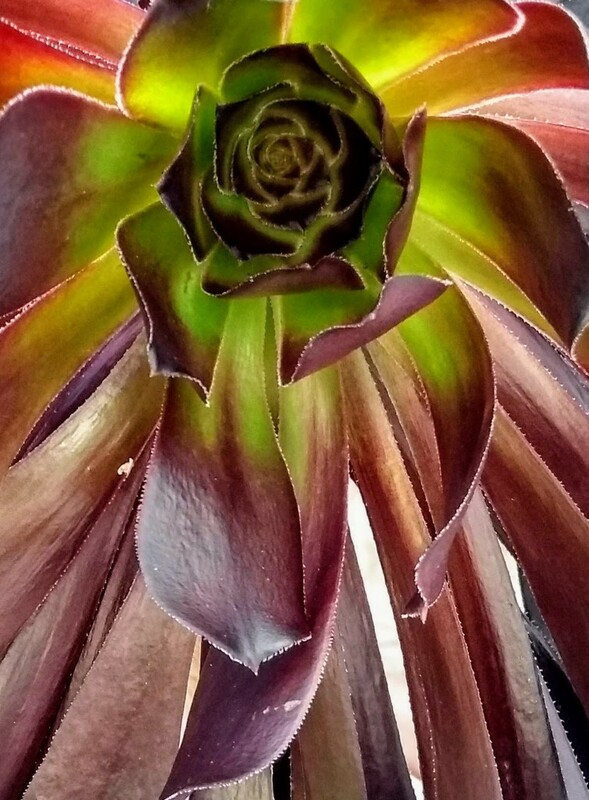 I think this is Aeonium arboreuma also known as Black Rose or Black Beauty. The details in this, strong lines, make such a strong composition. Tilly and Tasha will be featured often until they take to their winter burrows which are close to each other. Tilly could be Tasha's mother. The colours are a wonderful contrast and I like the composition. It is amazing how the colour pops out on black. Great macro and wonderful tones. Great shape and colours. Lovely pov. Wow, very nice close up. That is super, full of impact. Makes a fabulous photo. Nice macro. Well composed. Nice one! So very unusual looking. fav.